The Kleister Law Group is located in the heart of the Hudson Valley and is centralized in the center of Orange County, New York. We are a full-service law firm that you can count on to protect your rights and one that will fight aggressively on your behalf with assurance that you will get quality representation in every aspect of law that we perform. We at the Kleister Law Group have one motto: "Let us make the details of YOUR legal needs OUR business." 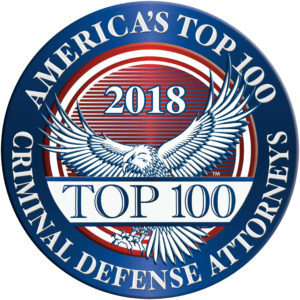 With that being said, if you are being charged with a crime, need a divorce, need help with child support and/or custody matters or need help with any real estate matter, you need an attorney with the experience and competence to take every measure to protect your rights, both inside the courtroom and out. Our legal team never views clients as case numbers or nameless faces — we value each and every one of our clients. We form strong client relationships and tailor our representation to meet each client's needs. Our attorney takes a proactive approach to each and every case that comes into the firm. He also takes a reactive defense when needed. We evaluate every fact and nuance to determine the best course of action. We also review all possible options in our pursuit of providing creative resolutions to complex legal matters. Our proactive approach enables us to anticipate problems and prevent future complications. The Kleister Law Group is directed by Attorney Christopher B. Kleister, who has Over two decades of experience handling complex legal issues. His extensive litigation and trial experience enables him to evaluate cases efficiently and provide straightforward and honest information and guidance. He devotes substantial time, talent and resources to provide the most effective outcome for his clients. Mr. Kleister is currently a member of the Orange County Bar Association (OCBA) and is dedicated to providing his clients with the utmost respect and effective legal representation. Mr. Kleister sits on the Orange County Assigned Counsel Panel (NYS assigned cases) for Family Law matters as well as for Criminal matters. Paralegal Jennifer L. McCarthy joined The Kleister Law Group with its opening in October 2003. She is a lifelong resident of Orange County. Ms. McCarthy brings more than 20 years' experience in the legal field to the firm, including extensive knowledge of both real estate and litigation, more specifically contract preparation, resolution of title issues, financing issues and contract closings. Ms. McCarthy is currently a member of the National Federation of Paralegal Associations, the New York City Paralegal Association (NYCPA), the Empire State Alliance of Paralegal Associations (ESAPA) and the New York State Trial Lawyers Association (NYSTLA).